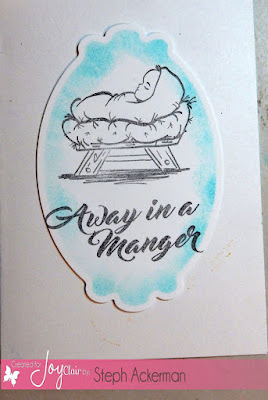 I've got a new post on the JoyClair blog using a new stamp set - Away in a Manger. 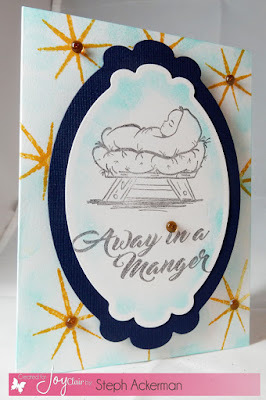 This is a wonderful set that is not only good for bible journaling but for all your card making needs. 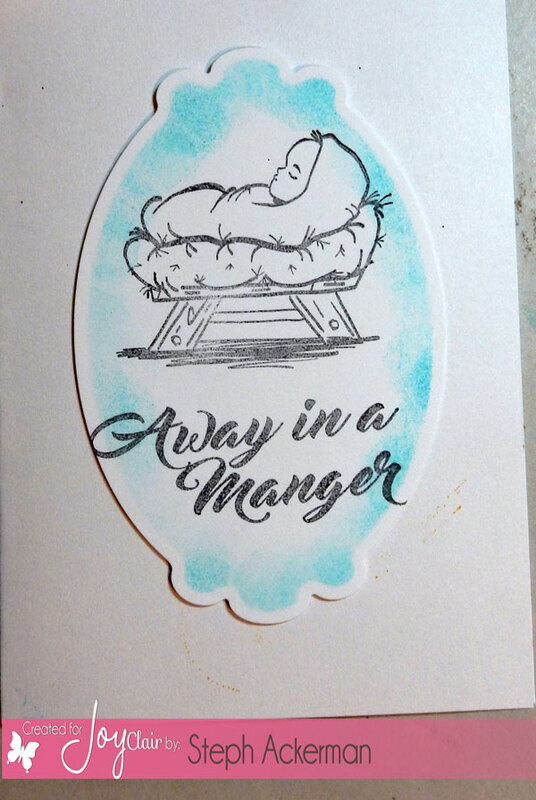 Stamping the baby and the phrase as one unit, I then die cut the image. 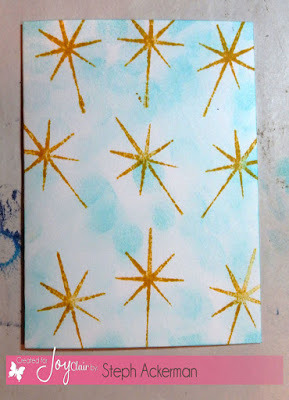 Leaving the images in the die, I sponged ink around it. 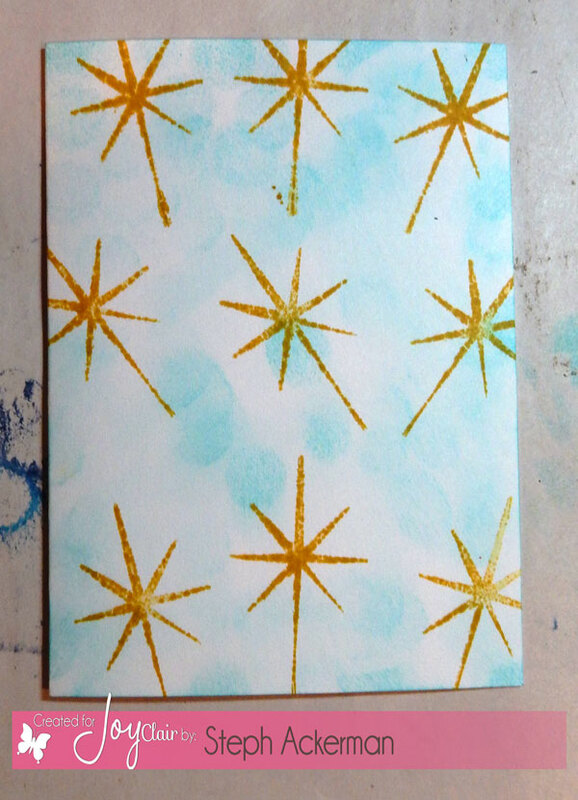 Keeping the card base simple, I repeatedly stamped the star in gold ink, then sponged blue ink on the card. I added dew drops around the card.